Robert W. Cook is President and CEO of FINRA, and Chairman of the FINRA Investor Education Foundation. From 2010 to 2013, Mr. Cook served as the Director of the Division of Trading and Markets of the U.S. Securities and Exchange Commission. Under his direction, the Division’s professionals were responsible for regulatory policy and oversight with respect to broker-dealers, securities exchanges and markets, clearing agencies and FINRA. In addition, the Division reviewed and acted on proposed rule filings and new product listings from self-regulatory organizations, including the securities exchanges and FINRA, and was responsible for implementing a range of initiatives and studies generated by the Dodd-Frank and JOBS Acts. He also directed the staff’s review of equity market structure. 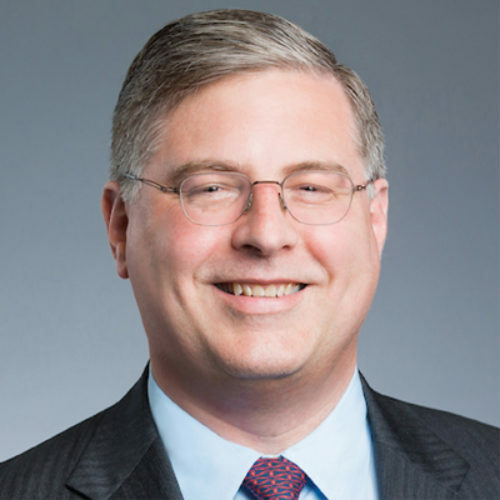 Immediately prior to joining FINRA, and before his service at the SEC, Mr. Cook was a partner based in the Washington, DC, office of an international law firm. His practice focused on the regulation of securities markets and market intermediaries, including securities firms, exchanges, alternative trading systems and clearing agencies. During his years of private practice, Mr. Cook worked extensively on broker-dealer regulation, advising large and small firms on a wide range of compliance matters. Mr. Cook earned his J.D. from Harvard Law School in 1992, a Master of Science in Industrial Relations and Personnel Management from the London School of Economics in 1989, and an A.B. in Social Studies from Harvard College in 1988.